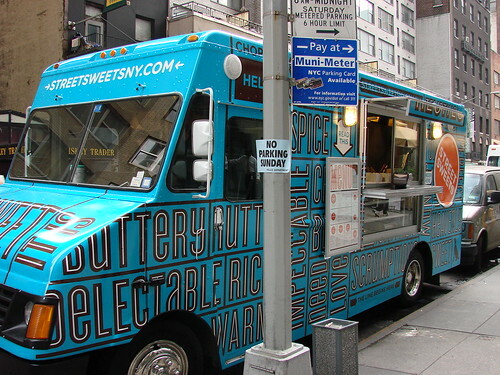 Blondie and Brownie: Mobile Food Alert: Street Sweets hits Midtown! Yesterday was their first day out and they were just giving away samples. When I stopped by at around 3:00, they only had croissants with your choice of preserve filling and the pecan sand tart cookies left. Given my nut allergy the pecan cookies were unfortunately a pass, so I can't personally vouch for their deliciousness, but while I was waiting for my croissant I did hear more than one person behind me in line audibly exclaim how tasty the cookies were. 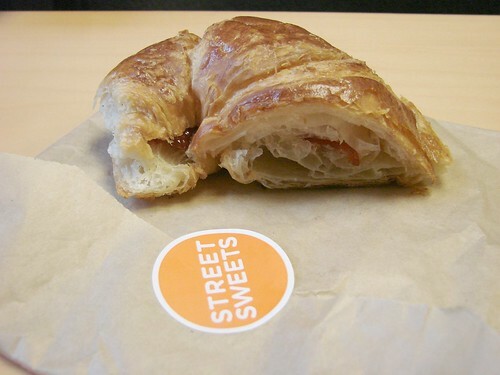 The croissant was buttery and delicious and the strawberry preserves were a nice addition. I must admit I've very intrigued by their croissant fillings. The pastry cream and nutella filled will be their signature flavors, but they also have a range of fruit preserves and more exotic filling like peanut butter, dulce de leche, cashew butter and almond butter. Along with the croissant and cookie giveaway, they were gave out coffee and espresso. By the time I dropped by I had already hit my max caffeine intake for the day, so I didn't partake, but for coffee lovers out there they will be brewing Coffee Labs Roasters coffee. 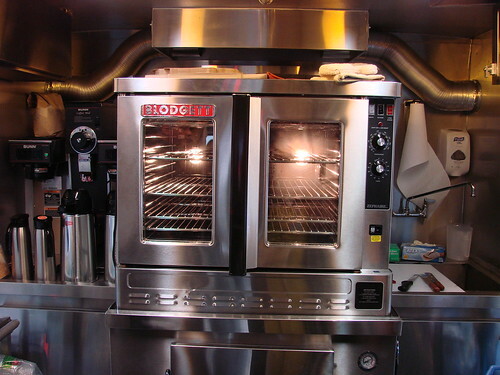 All of there goodies will be made fresh--some in their kitchen in Brooklyn and some one board in this oven. Pretty awesome! I'm looking forward to trying some more things on their menu. The truck plans to make its real debut at 7:30ish this morning. They are hoping to find a regular daily spot on 55th between 5th and 6th but are going to play things by ear as they get accustomed to midtown. 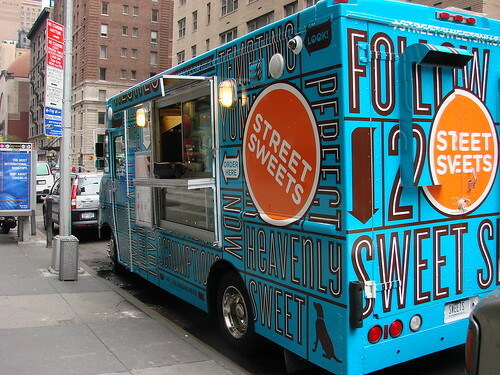 Welcome to the 'hood, Street Sweets! Nice to see a food truck taking up the breakfast cause. 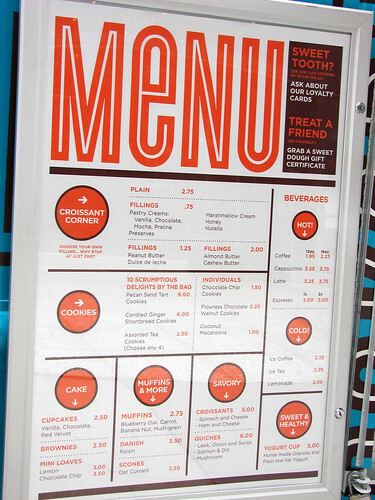 We have just added your latest post "Blondie and Brownie: Street Sweets hits Midtown!" to our Food Directory . You can check the inclusion of the post here . We are delighted to invite you to submit all your future posts to the directory for getting a huge base of visitors to your website and gaining a valuable backlink to your site.